Niels Bohr, Danish Scientist and Teacher, of the Atomic Structure Fame. Brief biography and philosophy of Niels Bohr, famous for the atomic structure model, the foundation of quantum mechanics. Niels Bohr (1885-1962), Danish physicist, was one of the greatest physical chemists of the 20th century, famous for his atomic structure model that won him the 1922 Nobel Prize in Physics. He proposed the ‘Solar System’ model of atomic structure in which electrons orbit the central nucleus. He married Margrette Norlind in 1912. They had six sons, the fourth, Aage, followed in his footsteps and won his own Nobel Prize in 1975. Niels Henrik David Bohr was born on October 7, 1885, in a mansion owned by his maternal grandmother of an influential Jewish banking family. His father, Christian Bohr, was a professor of physiology at Copenhagen University. The children grew up in an atmosphere in which pursuit of knowledge, intellectual discussions and culture were greatly encouraged. He loved football. Bohr studied at Copenhagen University and did experimental work by using his father’s physiology laboratory since there was no physics laboratory at that time. In 1906, he won the Gold Medal from the Royal Danish Academy of the Sciences for his measurement of the surface tension of water. On 1911, Bohr completed his PhD and went to England the same year. In Cambridge he met Ernest Rutherford, who just published his discovery that most of the mass of an atom is in its center, the nucleus. Bohr joined Rutherford’s team in Manchester working on the structure of the atom. Rutherford became his role model and lifelong friend. While at Manchester, Bohr worked on quantum theory developed by Einstein and Planck to explore his own theories about atomic structure and enhance the earlier works of J.J. Thomson and Ernest Rutherford. Bohr’s explanation of the atomic structure model awarded him the 1922 Nobel Prize in Physics. It became the foundation of quantum mechanics. In the mid 1920s, Bohr was concerned that his new atom model might be too theoretical. With the emerging field of quantum mechanics, there was also Heisenberg’s published uncertainty principle in 1927 he had to take into consideration. He came up with his Theory of Complementarity: that electrons may be both wave and particles but they can only be experienced as one of the other at any given time. 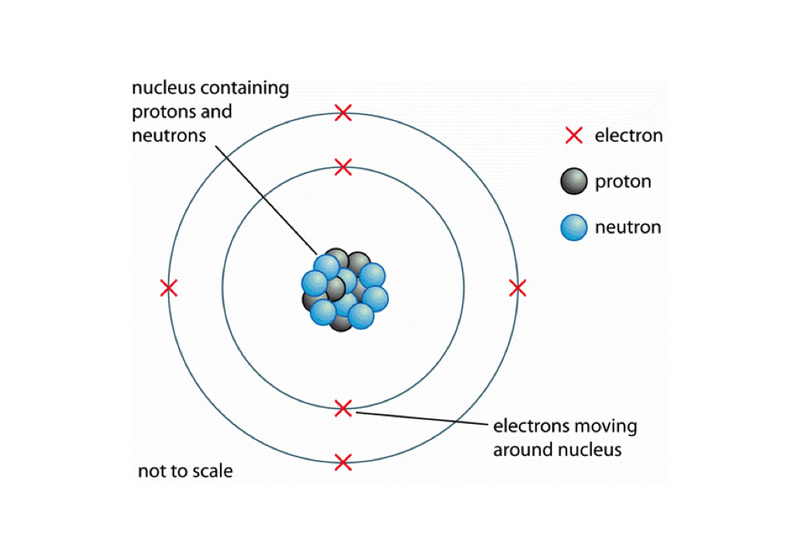 In the 1930s, Bohr became interested with nuclear fission. Heisenberg revealed to him that Germany was working on an atomic bomb, with the latter in charge of the project. When the Germans invaded Denmark in 1940, Bohr’s Jewish descent made it difficult for him. He fled to England via Sweden, where he joined the war effort to develop the atom bomb ahead of the Germans. He and son Aage joined the American team and moved to Alamos, but he was not happy about nuclear bomb development. Bohr occupied the distinguished position as a professor in Denmark, elected to the Royal Academy of Sciences, and president of the Institute of Theoretical Physics. He lectured in Europe, the US and Canada. He organized the Atoms for Peace Conference in Geneva, and was a leading figure in the CERN foundation, the Centre for Nuclear and Particle Physics Research in Switzerland. He died of a stroke on November 1962, in Copenhagen. Niels Bohr was a thinker of immense power, a modest and generous man. The element bohrium is named after him, and the Institute for Theoretical Physics in Copenhagen, which he headed in his lifetime, was renamed in his honor.